In 1953, Burger King opened its doors, under the name Insta-Burger King. It was founded in Jacksonville, Florida. A year later, the company was having financial problems and two men bought Insta-Burger King, with a mind to turning things around. They gave the company the name, Burger King. Over the following fifty years, Burger King was purchased by four different sets of owners. The third set of owners took the company public during 2002. At the end of 2010, a big company in Brazil, called 3G Capital, bought a majority stake in Burger King. The deal cost a whopping 3.26 billion bucks. Throughout the years, this popular fast food restaurant chain has had its ups and downs. It’s the home of the Whopper, which is a good thing, but it’s also been the subject of some truly outrageous scandals. From the alleged presence of horse meat in burger patties to cruel-but-amusing social media promotions and beyond, Burger King has gotten some negative press now and then. Horses are beautiful animals and it’s safe to say that Burger King customers don’t expect horse meat in their Whoppers. That’s why the alleged presence of horse meat in Burger King burgers in the UK caused such a huge scandal. During 2013, the fast food chain’s reps reported that very small amounts of DNA from horses was discovered within one of the plants of a supplier. Burger King stopped using that supplier right away, just to be on the safe side. 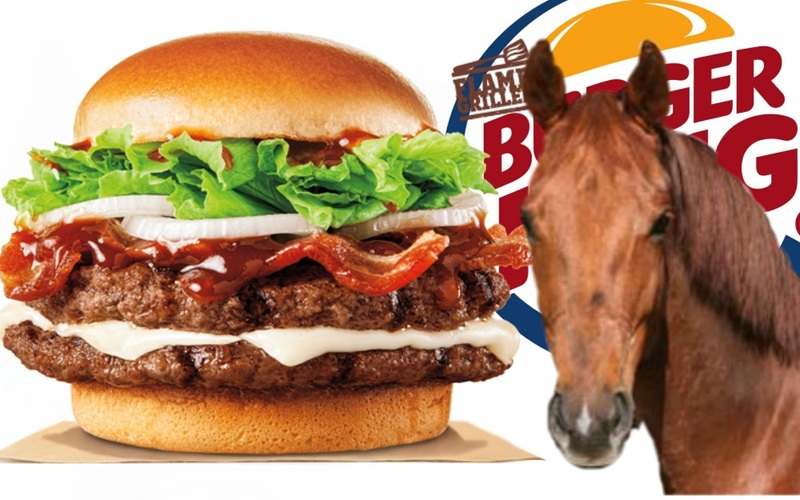 Burger King representatives said that there wasn’t any DNA from horses in its food items. Unfortunately, a media outlet with a shady reputation, known as Before It’s News, implied that Burger King was selling burgers that did contain horse meat. It looks like this particular scandal was a tempest in a teapot. Before It’s News exaggerated the situation and alarmed Burger King customers. These types of trumped-up hoaxes do happen now and then. Basically, there was no real proof that Burger King was peddling horse meat at its UK fast food locations. When these types of stories start circulating, it means bad press for companies. There is always the possibility that the UK meat supplier, Silvercrest, did supply Burger King with meat that contained some horse meat, but we’ll never know for sure. Burger King certainly didn’t request meat with equine DNA, so the fault lay with Silvercrest. 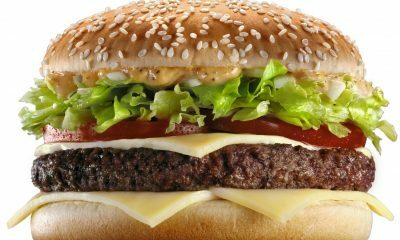 Burger King did move fast to cut ties with the supplier, in order to ensure the quality and purity of its burgers. 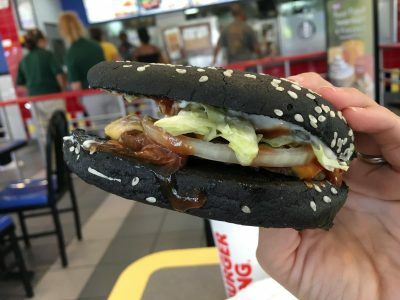 When Burger King introduced the black Halloween Whopper in 2015, it seemed like a great marketing gambit. The burger had a spooky black bun and apparently tasted really good. This promotion was picking up steam when customers who ate Halloween Whoppers started noticing that their poop was turning green. This was because a lot of food coloring was used to turn the burger buns black. When the food coloring combined with other substances in the digestive tract, the end result was green bowel movements. The food coloring was food-safe, so this strange phenomenon wasn’t harmful in any way. It was just unusual. It kind of ruined the whole Halloween Whopper promotion. After the green poop scandal, Burger King moved on. In October of 2018, it celebrated the Halloween season by introducing an exciting new whopper that promised to deliver extra nightmares. Nightmares weren’t guaranteed, but there would be a higher likelihood of bad dreams after scarfing Burger King Nightmare Burgers. This burger featured a green bun, bacon, crispy chicken, a burger made from ground beef, mayo and American cheese. Test subjects who ate these burgers and then participated in sleep studies were 3.5 times more likely to have nightmares. Test subjects had some freaky dreams about people turning into snakes and attacks by angry, violent aliens. 8. Remember The Burger King Croissan’wich Scandal? Burger King went low during its famous Croissan’wich coupon scandal. During a special promotion, customers were promised a great deal on Croissan’wiches, as long as they had valid coupons. The problem was, the coupons featured a higher retail price for the croissant sandwiches. People noticed that they could buy Croissan’wiches for less money without the coupon. When they used the coupon, they paid more for each sandwich. 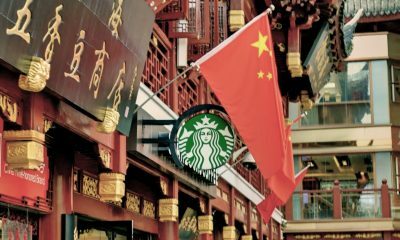 The scandal resulted in a class action lawsuit that was settled during 2017. A woman noticed the price issue when she used a “buy one, get one free” voucher to get a couple of Croissan’wiches. With the BOGO promotion, she paid three dollars and nineteen cents for a sandwich with cheese, egg and sausage and got the second one for free. When she went back to the fast food counter to buy a single sandwich, without a coupon, she paid only two dollars and sixteen cents. 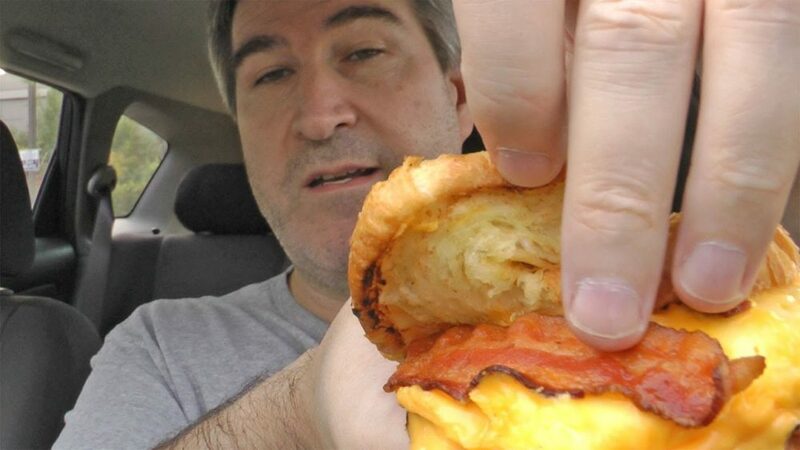 Burger King was apparently jacking up the price of the BOGO Croissan’wich, so it wouldn’t take such a hit financially for the “two for one” promotion. People who felt ripped off had recourse, thanks to the lawsuit. They were able to file for refunds until late January of 2018. It does seem like Burger King really goofed with this promotion. If they hadn’t, they wouldn’t have had to issue gift cards for Burger King food to customers who participated in the BOGO coupon deal. 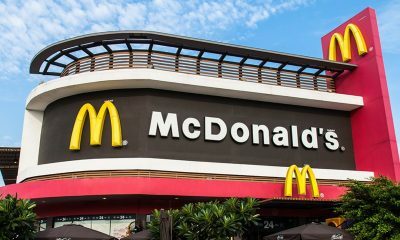 This scandal damaged the fast food chain’s reputation. 233, 906 people were willing to unfriend people on social media in order to get free Whoppers. This hilarious, but mean-spirited special promotion was known as the Whopper Sacrifice. Would you ditch buddies on social media for the sake of a juicy free burger? Many people did make this choice. 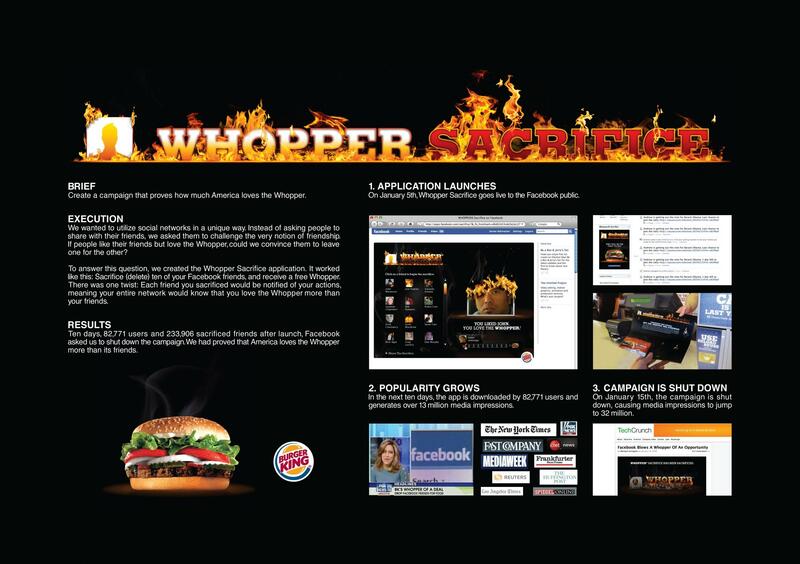 Facebook had to shut down the Whopper Sacrifice promotion after just ten days. Burger King definitely got a lot of publicity from this scandal. With the Whopper Sacrifice app, the people who were unfriended for free fast food actually got notified of what happened. That was pretty crass and probably part of the reason why Facebook cracked down on the promotion. The promotion required the unfriending of ten people to get one free Whopper. 23,000 free Whopper coupons were doled out during the Whopper Sacrifice. The promotion was shut down during the middle of January in 2009. Facebook claimed that privacy concerns for its users was the reason why the de-friending app was eliminated. This special promotion had so much attitude. Sure, it was a scandal, but a lot of people loved it. It set Burger King apart as an edgier type of fast food chain. The promotion was definitely darkly humorous and many people who used the app had no issues with pruning their friends lists for the sake of freebies. This scandal erupted in 2014 and definitely hurt Burger King financially. 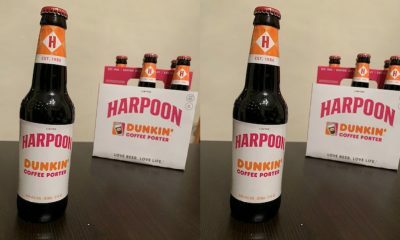 It wasn’t a hoax or a bizarre social media promotion. It was a very real problem with the conditions of many Burger King franchises in Germany and with the condition of food served at those franchises. As a result of the scandal, Burger King Germany ended up closing 89 franchises. RTL Television reporters went undercover to let the public know that food products that were past their sell-by dates were being labelled as fresh. Also, RTL revealed that burgers which were supposed to be grilled after they were ordered were actually resting under warming lights for long periods of time, such as hours. Other problems revealed in the RTL report included hygiene violations, such as staff making food for customers after cleaning washrooms, without bothering to clean themselves up properly first. Needless to say, all of this information really grossed out German fast food fans. Burger King Germany had to take action to stop the negative publicity. Closing many franchises was the answer. Apparently, the franchises hadn’t followed the rules that they were supposed to follow. They’d broken the rules and they were punished. Yi-Ko Holdings was the company that ran all of these franchises. Its business practices were very sketchy. 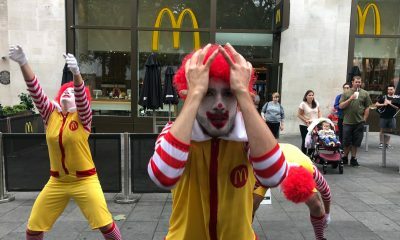 That company also treated Burger King staff badly, by withholding bonuses, sick pay and holiday pay. Burger King does have a history of copying McDonald’s menu items and it’s not hard to understand why. McDonald’s is the competition. 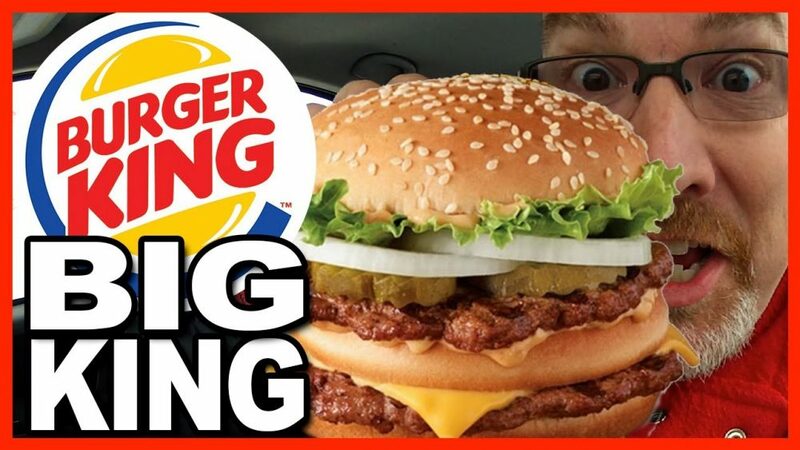 When Burger King unleashed its Big King XL burger in January of this year, it was touted in a press release as containing way more beef than a Big Mac. This was really the key difference between the Big King XL and the Big Mac. Other than the XL having one hundred and seventy-five percent more beef, the burgers are eerily similar. The Big King XL features a half-pound of ground beef, as well as pickles, savory sauce, sliced onions, American cheese and crisp lettuce. That sounds a bit familiar, right? 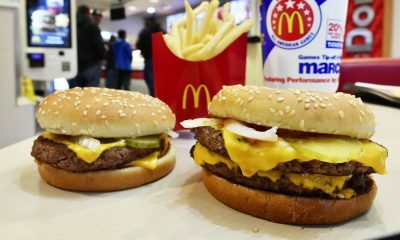 They say imitation is the sincerest form of flattery, but Burger King does get some flak for copying Mickey D’s, and the Big King XL isn’t the first Burger King menu items that is a very close copy of a McDonald’s menu item. Burger King is always watching what McDonald’s does and making business decisions accordingly. McDonald’s surely keeps tabs on Burger King, too, but doesn’t seem to copy BK to the extent that BK copies Mickey D’s. Another example of BK imitating McDonald’s is BK’s “The Rib Sandwich”, which is just so McRib-like. 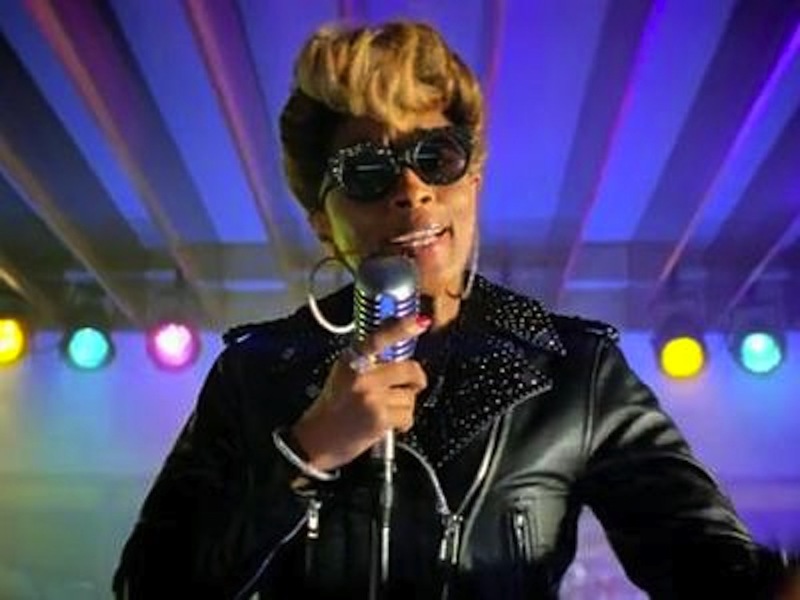 When talented singer, Mary J. Blige, filmed a promo for Burger King Crispy Chicken Wraps, there was public outcry. Why? Well, some people felt that having a black singer advertise fried chicken was racist. People were freaking out over the ad. Mary’s ode to the Burger King menu items caused outright outrage. Burger King had to pull the ad down fast. Even though it was pulled from YouTube, people were remixing it. Plus, the scandal was ensuring that the remixed video was being seen just about everywhere. Obviously, Burger King’s marketing team expected a different results from this campaign. Burger King did get tons of free publicity, but the publicity was not too positive. Mary defended her participation in the ad by saying that Burger King didn’t edit her spot as promised. Mary felt that the ad which went out to the public was unfinished and very different than what she was told it would be like. Burger King admitted that it pushed the ad out too soon, because it got all of the paperwork done and just wanted to get it out there. The fast food chain apologized to Blige. 3. Was The Infamous French Fry Burger A Lame Menu Item? As scandals go, the Burger King “French Fry Burger” scandal was pretty tame and fairly amusing. 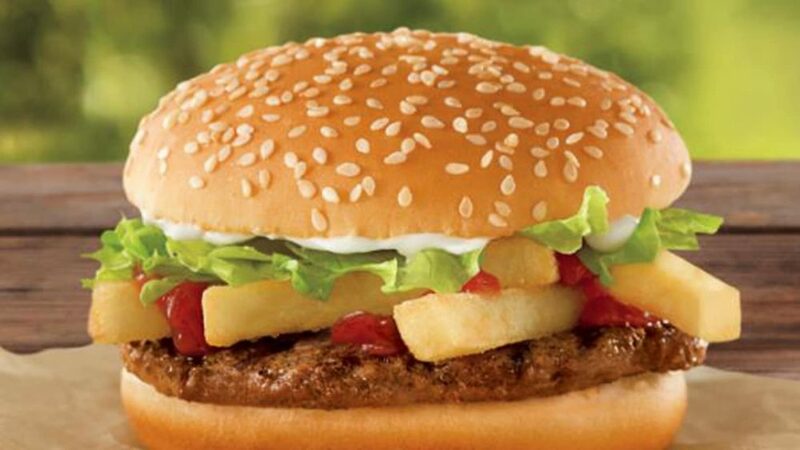 Burger King decided to sell a burger that had four fries added to it. That was basically the only thing that made the burger stand out. It seemed a bit lame. It wasn’t really so creative. Anyone can grab some fries and add them to a burger. A small child could do it and probably has. The burger was launched in 2013 and retailed for just a dollar. At this point in time, Burger King was ranked at number three in terms of fast food chains. It wasn’t interested in losing more ground, so it cooked up a burger concoction that didn’t require any big changes or new ingredients. French fries were already on hand. 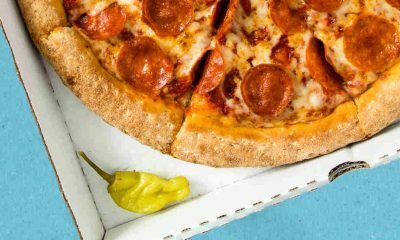 Expert believed that Burger King wanted to grab publicity and attract customers, without needing to shell out money launching a brand-new menu item. The burger wasn’t too creative and it wasn’t a monster hit. 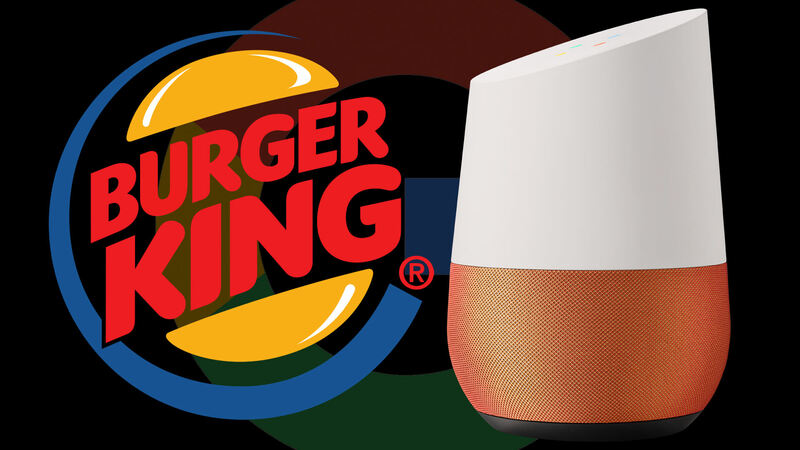 In 2017, Burger King got devious by creating a new and innovative ad campaign that hijacked Google Home speakers. Like many Burger King ad campaigns, it was amusing. However, it was also controversial. The company released a new ad that lasted just fifteen seconds. 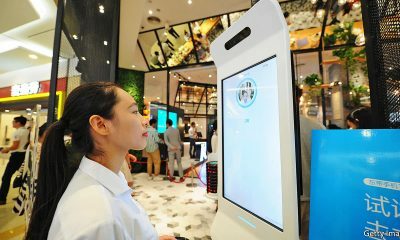 It showed a person wearing a Burger King uniform getting close to the camera and asking Google what a Whopper burger is. People who kept Google Home speakers close to their televisions noticed that the question asked by the person in the Burger King uniform would activate their speakers to start reading out the Wikipedia page for the Burger King Whopper. Yes, this ad got attention, but also annoyed people. Burger King knew exactly what it was doing with this ad. It had edited its Wiki page before the ad launched. The edited Wiki page described the burger in a tantalizing way. It’s hard not to laugh at this stuff. At least it’s creative. Google had no input into the ad. As this list proves, Burger King’s marketing team is occasionally a bit subversive. To stand out from the competition, Burger King’s marketing team are not afraid to push the envelope. Sometimes, it all seems to go too far, but Burger King hangs in there. There are probably so many people who find ad gambits like the Google Home thing very amusing. Burger King is shooting for a younger demographic with its wackier promotions. They are going for the youth dollar. This scandal started with a meme, which is now known as the Burger King “foot lettuce” meme. 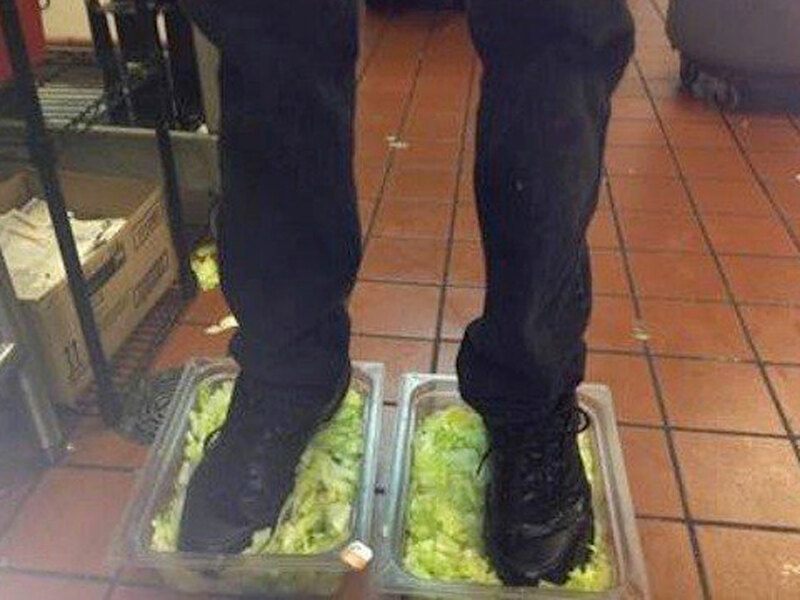 The meme surfaced when a Burger King employee took a photo standing in two vats of Burger King lettuce. This rogue employee was a 4Chan user. The pic of the lettuce was the subject of fascination on a YouTube channel known as Top15s. The controversial photo was posted in 2012. The employee was wearing black shoes while stepping in the lettuce. The employee later lost his job because he deserved to. People online who were curious about the image managed to figure out which Burger King location is came from and let the media know what they’d discovered. All of this led to the employee losing his job. How this employee managed to pose for the photo without being discovered by a manager is unknown. Clearly, the “foot lettuce” employee wasn’t exactly Employee Of The Month” material. Burger King execs must have been really mad when this picture started circulating online. 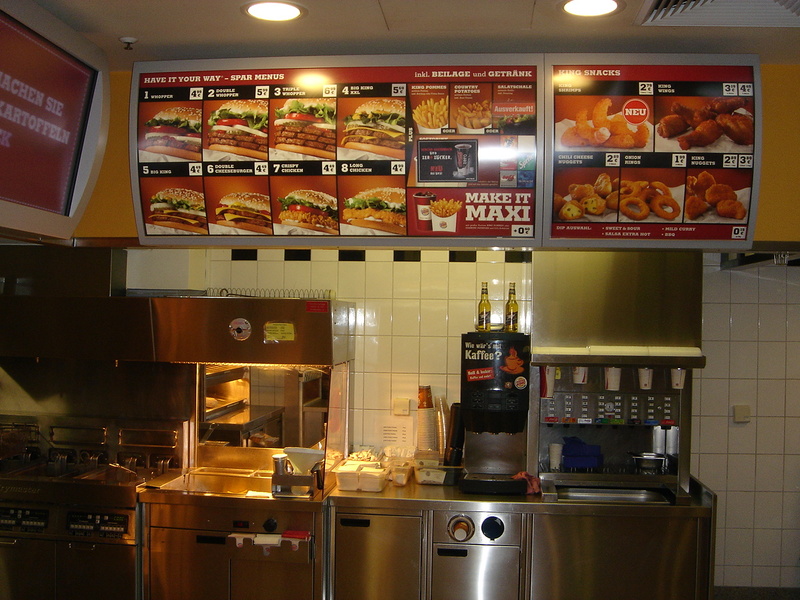 Sometimes, bad employees will do real damage to businesses, including fast food joints. Pics like “foot lettuce” never seem to stop people from going to fast food restaurants. Most Burger Kings do not have employees who would do these things. This was an isolated incident. Next	Next: 10 In-N-Out Secret Menu Items They Try To Hide From You! 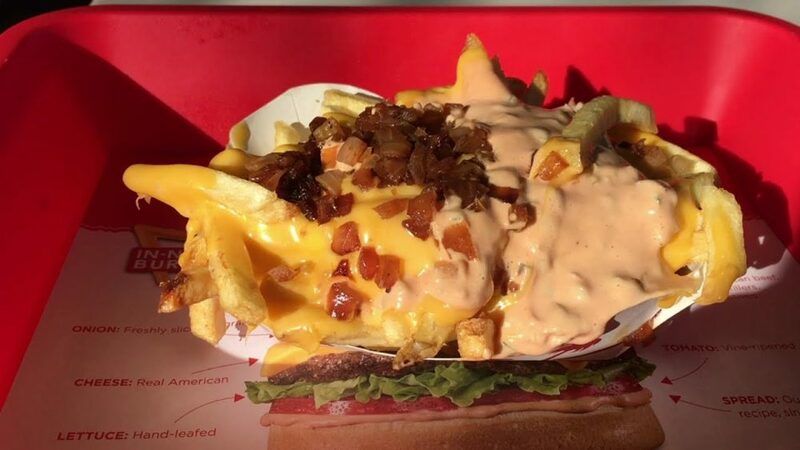 10 In-N-Out Secret Menu Items They Try To Hide From You!